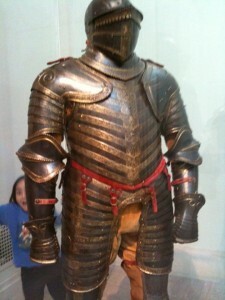 New York’s Metropolitan Museum has a wonderful collection of arms and armor. As part of their Timeline of Art History, they have posted a list of common misconceptions about medieval armor, swords and knightly life. Being lucky enough to have easy access to the museum, I have found it a constant source of inspiration for gaming and other projects. The Timeline’s Medieval Art section is an obvious place for gamers to look, but there are essays on other civilizations straight out of the Deities & Demigods book. As I pick up posting again tomorrow, I’ll include some ideas inspired by the images on this site. Pretty darn cool. Thanks for sharing these resources.